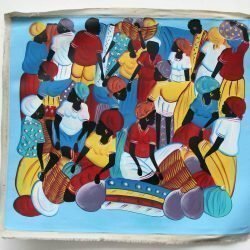 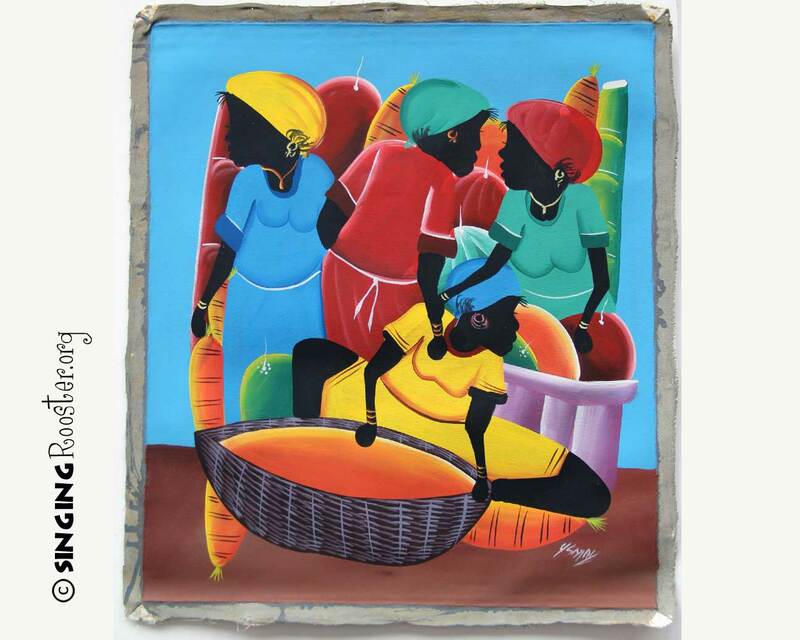 Singing Rooster carries a variety of Haitian Paintings online. 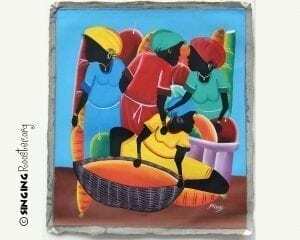 In this brightly colored painting, four women encircle a beautiful basket of rice. 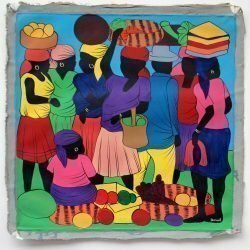 Just another day at the Haitian market. 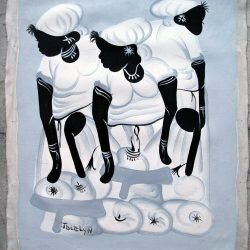 Signed by artist Ysmay (bottom, right).